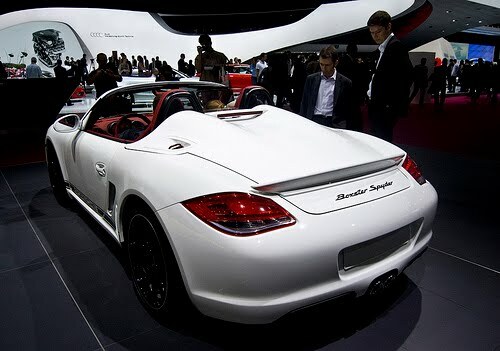 This year marks a celebration from Porsche Exclusive to design a new Speedster. 25 years ago, the German brand designed Porsche Exclusive, keeping the brand with rare versions to keep the exclusivity very high. Well this specific 911 was designed last year and was shown to the world at the Paris Auto Show last October. 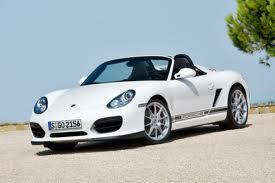 Porsche said delivery was back in December 2010, so my eyes have been peeled for one. The thing is, there are only 356 in the world, of that number, only 100 will come to the States. 356 because the first Speedster was on Porsche's 356 model back in the 50's. The new Speedster gets a lower and wider stance, redesigned front fascia, and even redesigned interior with checkered seats. 60mm lower and 44mm wider track for a much more sporty, aggressive look. One thing that the Speedster has always kept distinguished is the famous "double bubble" lid covering the soft top when retracted down for those bright sunny days. 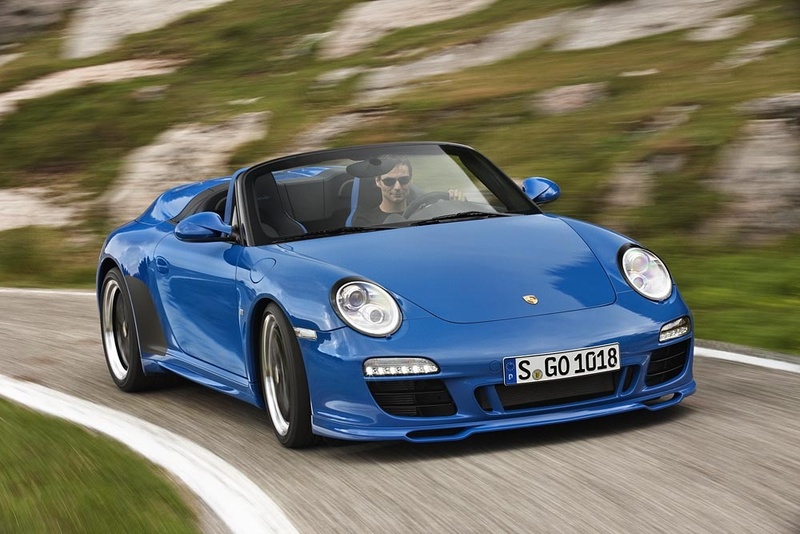 Power from the 3.8litre flat 6 is increased by 23hp to 408 and still gets the same 27mpg as the Carrera S! You are also matted with the PDK transmission for shifts faster than you can blink.